The grace period was to allow petrol retailers time to comply with the trial. The trial laws were brought into effect in early December 2018, and require fuel retailers to report all changes in fuel prices within 30 minutes of the change being made. Data collected is then made available to fuel price app developers and publishers, who then pass on the information to motorists via websites and phone applications. The Australasian Convenience and Petroleum Marketers Association (ACPMA) said the QLD government has advised that more than 1400 service stations have so far complied with the laws which equate to 95% of QLD fuel retailers. ACAPMA CEO Mark McKenzie said: “The high rate of compliance by fuel retailers to date is a credit to both the co-operative approach advanced by the Queensland Government to encourage compliance and the positive efforts of the vast majority of fuel retailers to ensure their business is compliant with the new laws”. 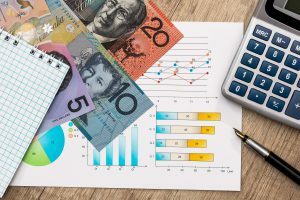 “With the three-month grace period ending on Monday 15 April 2019, those retailers who have not yet complied risk being fined for non-compliance and should therefore address this issue urgently,” Mr McKenzie said. There is a financial penalty risk for fuel retailers who don’t comply with the requirements.